You don’t need to quit your day job to serve God. Many Christian leaders struggle to bridge the gap between the sacred and the secular—particularly at work. Raymond Harris addressed this dilemma and found true success as one of the most prolific American architects. Look beyond your own needs and use profits to promote God’s kingdom. Let go of feeling you’re not doing enough for God and recognize your service to Him at work. "Raymond Harris partnered with us and mentored us in business, and was key to our success in film. You MUST read his book Business by Design! The principles in it will change everything about your business." "Wisdom happens when the truth of God’s Word intersects with the horizontal experience of our everyday life and we respond appropriately. Business by Design is one of the best books I have read, which models and mentors how to allow the truth of God to transform everyday life on the job into a spiritual and yet successful pursuit. Raymond Harris may be an incredible architect, but he is also an inspiring writer. I will be handing out copies for years." "Raymond Harris is a unique visionary who has found his most remarkable of professional opportunities with the church and its mission at the intersection of life and business, where he shares Christ as he does in the pages of Business by Design." "My big-hearted friend Raymond Harris is a godly man who God trusted with little. Raymond was faithful, so God trusted Raymond with much, and he remained faithful. This book demonstrates that principle so well and is instructive to those who need to learn to be trusted with little, so that God might trust them with much!" "For anyone seeking true success in life and business, this book is bursting with biblical wisdom and practical advice! Read this book and learn from Raymond’s experience of operating businesses as a way to love people and build God’s kingdom." "Raymond Harris has written a warm and inviting refection on his forty-year faith journey in the marketplace. This is a fantastic read!" "Brimming with countercultural and actionable insights, Business by Design is a powerful and engaging read. This book is highly readable and relevant for every type of business or nonprofit context. You will love this book!" "Saturated in the Scriptures and filled with practical wisdom, Business by Design is a work of love that will bless your circle of influence. Raymond’s keen insights and personal stories will appeal to both the head and the heart. If you are looking for next steps in how you might be a light in your world, look no further." 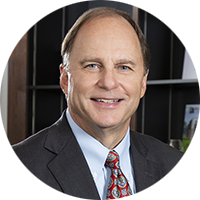 "Business by Design builds on Raymond Harris’ lifetime of experience of building an architectural firm that’s successful by any definition, and he lays out practical, biblical principles that anyone who wants to have a life that counts can depend on." "You can’t spend five minutes with Raymond and not gain amazing nuggets of wisdom of God’s heart towards money. I’ve learned so much about stewardship and transferring wealth to heavenly treasures. You are in for a treat as you read Business by Design. Having walked with him over the years on multiple endeavors, I can attest that he practices what he is teaching here." "In a simple but profound manner, this book captures the very essence of leadership. Harris understands that success doesn’t come from accumulating, emphasizing our accomplishments, or making a name for ourselves. Success comes from prayerfully and thoughtfully giving away our talents, our treasures, and our time—that’s true success in God’s economy." 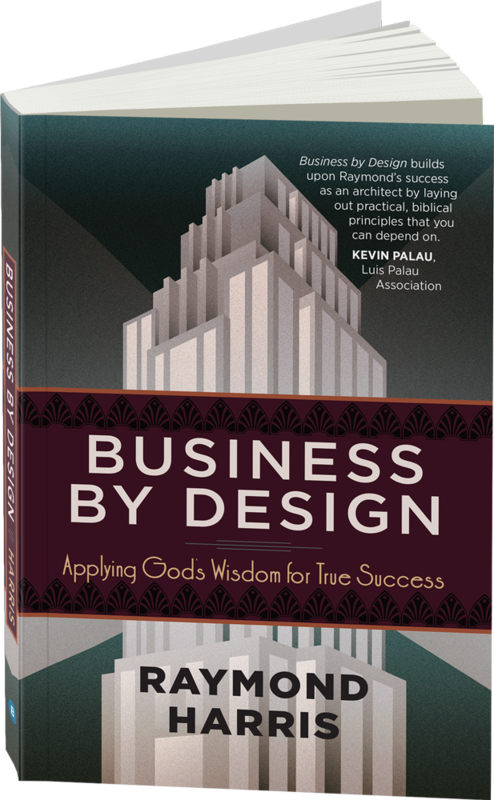 "Business by Design is a useful tool that provides a guide to the reader on how to balance the cut-throat world of business practices with one’s faith. This is a difficult road to travel, but Raymond gives us a roadmap. It is up to us to determine whether we choose to follow it." "In Business by Design, Raymond Harris masterfully explores the teachings of Jesus of Nazareth, anchors business practices to core biblical principles, and reveals the purpose of business in a kingdom economy. This is a must-read for business leaders, young professionals, nonprofit executives, ministry leaders, and pastors." "Business by Design brings to life the teachings of Jesus as a practical guide to building businesses that expand His kingdom on earth. Using real-life stories from his own successful architectural firm, Raymond Harris reminds us that in God’s hands, business is one of the most powerful instruments of economic, social, and spiritual transformation. It’s a great read for faith-centered business leaders seeking to live a life of meaning." "Business by Design captures the essence of doing business by God’s design. Whether working, running a business, or serving in a ministry, Raymond articulates these business principles and shares his personal stories that apply to today’s world. I recommend this to every working professional." "Business by Design is a game changer, but not because it teaches a new business theory. Rather, it is built on the timeless truths of the Bible. It is wonderfully authentic because the author, Raymond Harris, has lived the principles he is communicating. I heartily recommend it!" 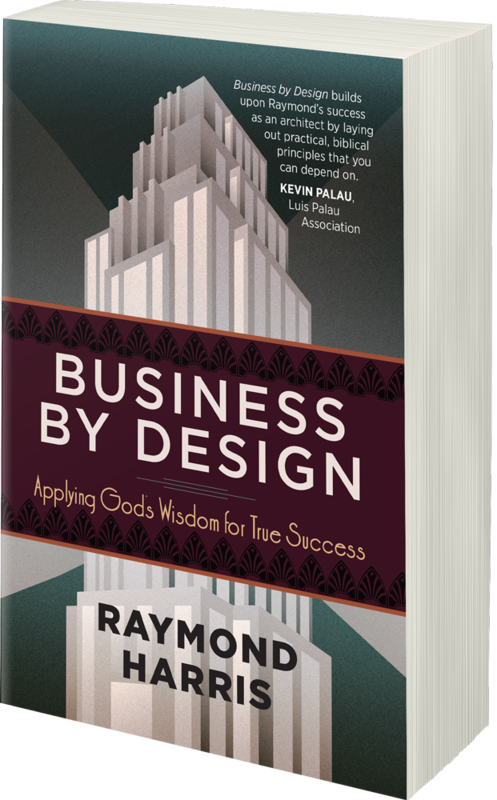 "In Business by Design, Raymond Harris invites us to see the real-world brilliance of Jesus as it applies to the practical strategy, decision-making, people management, and deeper purpose of business and enterprise. For leaders seeking frst-class excellence in both entrepreneurial endeavors and Christian integrity of life, Harris delivers a thoughtful meditation and testimony on what it looks like to apply the profound spiritual teachings of Jesus to the pragmatic, real-life challenges of business endeavors at the highest level." To download a sample of Business By Design, insert your email below. Raymond H. Harris has been a business professional for over forty years and is a venture capitalist in God’s kingdom. He is the founder and chairman of a large national architectural firm. He has extensive experience leading businesses, volunteer organizations, and ministry projects. He and his wife, Marydel, currently reside in Dallas, Texas.